My children love to visit Chuck E. Cheese’s! In fact, we usually hit up our local one around each of their birthdays as a special treat. It’s THE PLACE for kids. There’s something truly magical about earning those tickets and riding those fun rides, right? A win for every age group! I also love that I can have a full night out – including food and entertainment – without breaking the bank. Affordability is key these days without having to sacrifice laughs and cheers. 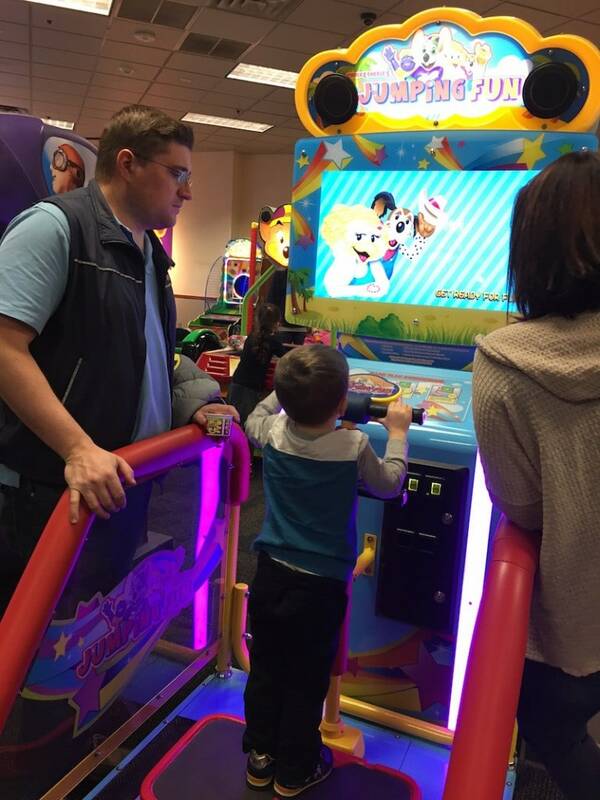 Well, during the month of April, Chuck E. Cheese’s has a wonderful charitable initiative going on and I encourage you to grab your family and head on over for some fun and some education. Why not teach the children all about donating to a good cause WHILE you are out for some entertainment? 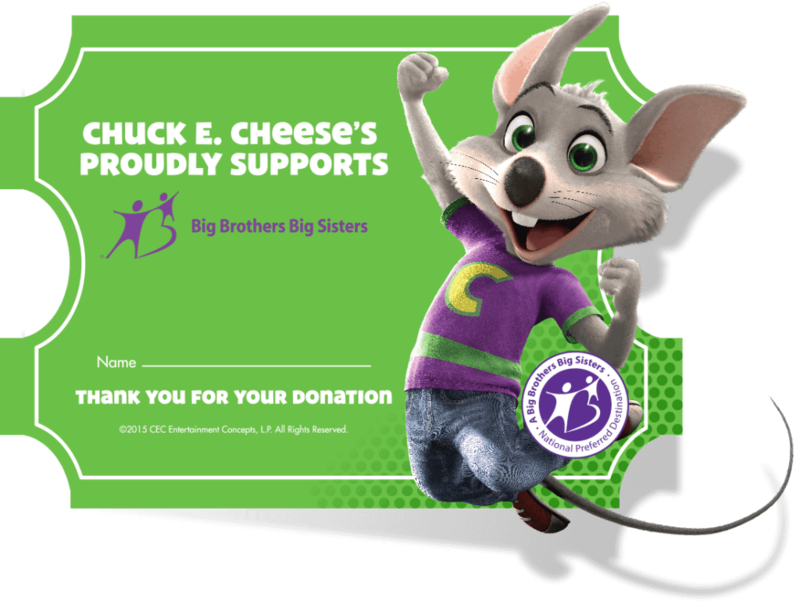 Chuck E. Cheese’s puts the fun in FUNdraising by supporting Big Brothers Big Sisters! Visit your local Chuck E. Cheese’s during the month of April and celebrate Little Big Night Out at any Chuck E. Cheese’s location on 3/31/16. Mention Big Brothers Big Sisters and 15% of your sale will be donated to Big Brothers Big Sisters! In honor of National Volunteer Month (April), Chuck E. Cheese’s is hosting a month-long, national donation drive, allowing guests to donate $1, $5 or any amount of their choice to the nonprofit organization by mentioning BBBS at the register. In celebration of their donation, guests who contribute can pin their name up on their store’s wall for everyone to see. Funds raised between March 31 – April 30 will help BBBS match adult volunteers (“Bigs”) with children facing adversity (“Littles”), so they may develop strong, enduring and professionally supported relationships to change lives for the better. I absolutely love Big Brothers Big Sisters and have been donating to this organization for decades. It’s nice to see that now I can do it in a way that is easy and explainable to the children. Think about it — you can tell your kids that you are out and supporting BBBS because you want to donate to their cause and all the fun the family is having is providing two things — a bond for the group and funds for the charity. Double win! 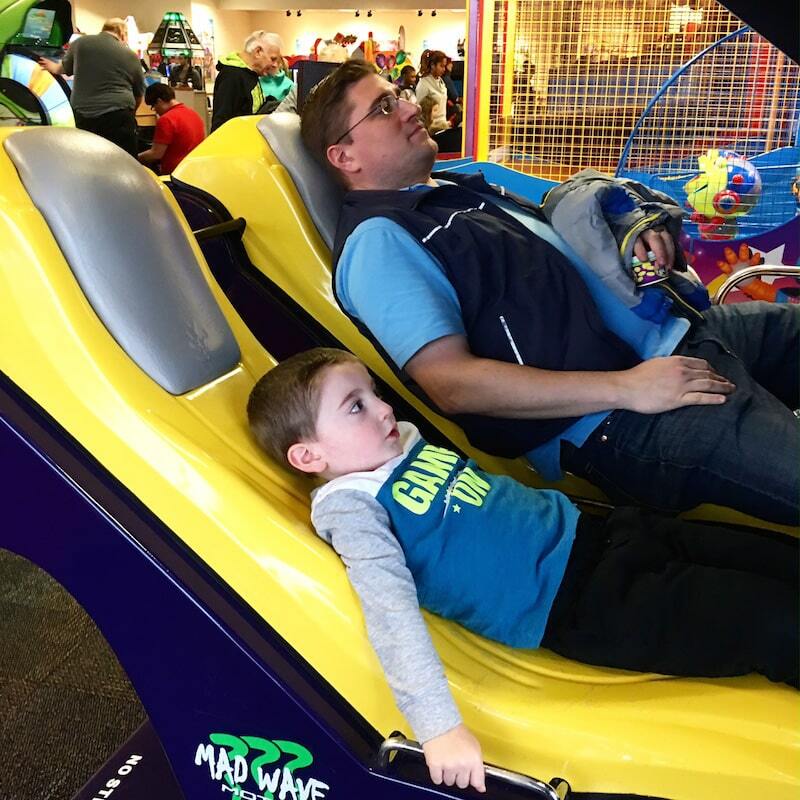 When you are done having a good time at Chuck E. Cheese, head on over to Big Brothers Big Sisters and consider volunteering your time and efforts as a family! What a wonderful way to teach your children to GIVE BACK. I’m always looking for ways to spread that message. Enter to win a Chuck E. Cheese’s guest pass (good for 1 large pizza, 4 fountain drinks and 30 tokens) and 1,000 tickets by commenting ways you’d like to get involved in your communities through volunteerism!